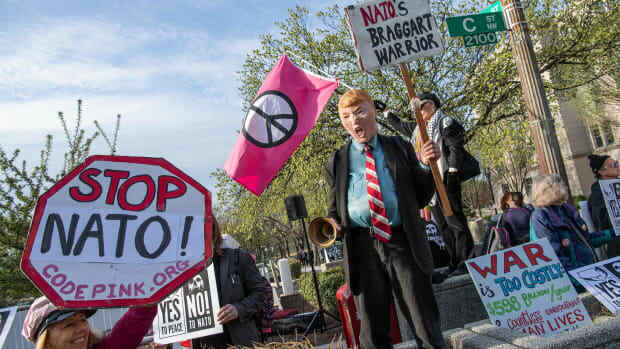 Demonstrators protest against the North Atlantic Treaty Organization near the Department of State in Washington, D.C., on April 4th, 2019, as NATO ministers gather for a meeting. 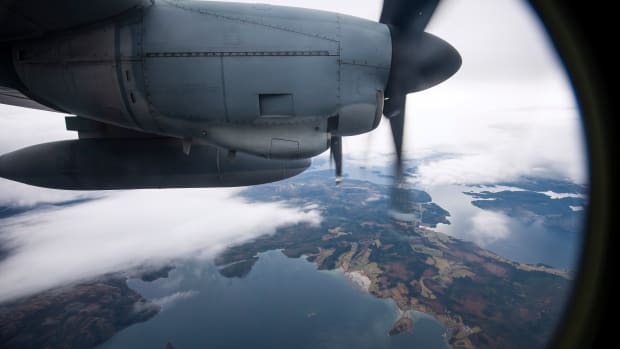 A picture taken from a United States Marines C-130 transport aircraft shows the area near Brekstad, Norway, during the North Atlantic Treaty Organization's Trident Juncture 2018 exercise on October 31st, 2018. 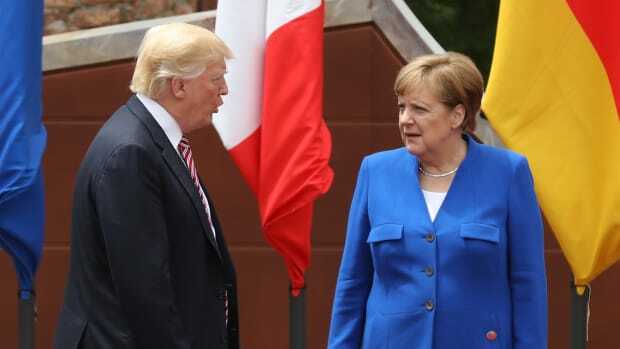 If it is politically harmful for America's allies to be seen supporting America's president, those alliances are not long for this world.